Finally, we are going to the Aberdeen Marina Club!! It is the FIRST time ever the AMC is allowing animals!! Great thanks to the powerful parents who have made us to enter all the places that originally not allowing any kind of animals. It is happy to see more and more “no animals” clubs are allowing OUR special animals in exclusively. And we have proven that they have made the right decision – our animals have never cause any trouble to them, but instead have brought them a lot of good impressions. By far we have been in many major clubs including the American club, Hong Kong Country club, Hong Kong Golf club, Club Bel-Air, Royal Hong Kong Yacht club, Jockey club, Clearwater bay Golf club, USRC, m1nt, top deck and so many residential clubs. And we are sure we will go to more of the rest soon. It’s now proven this is not a day only for humans. Happy Valentines day! 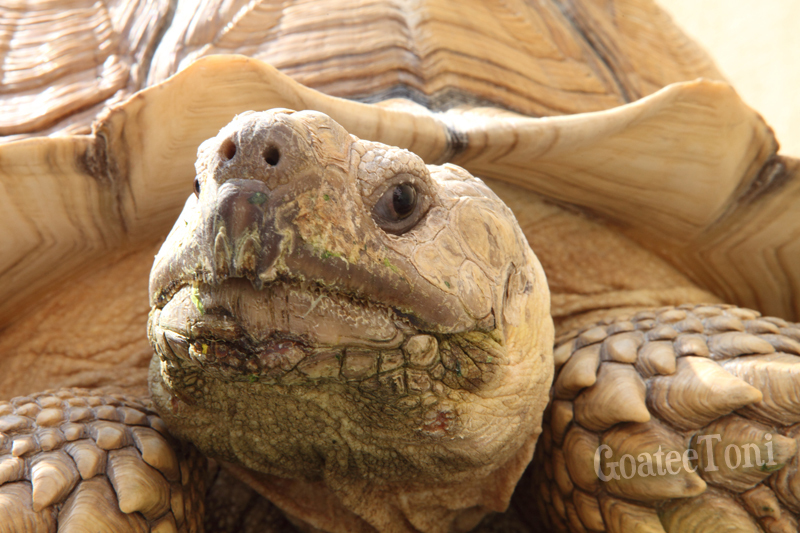 Ladies and gents now I’m introducing our tortoise star – Ajani! Yeah this is him, the giant tortoise you might have seen before! Has this big boy taken any veggies from your hands? We have a gang of African desert tortoises. This is Ajani, now weighs 80 pounds, among the largest ones and a very strong boy. Ajani is an African name means “He who wins the struggle”, simply describes this heavy armored tank. 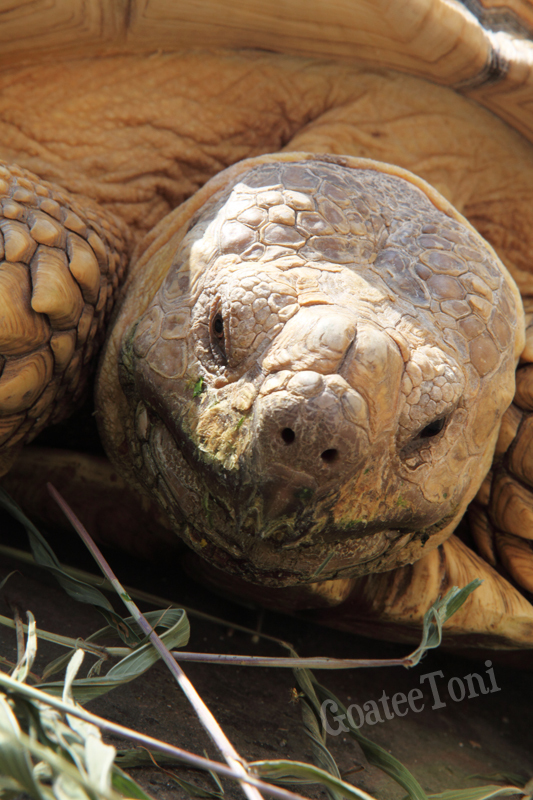 He is the dominant male of the gang and he maintains order within the tortoises. Whenever there are enemies he will step forward bravely and show some courage. No matter how much bigger the enemies are he will never step backwards. He has ever challenged cats, dogs (some rottweilers as well!) and the pot bellied pig. Dominant male African desert tortoises are naturally born warriors. Many think tortoises are peaceful creatures. That’s true towards other animals but among male tortoises they have to fight very toughly for territory and a mate. How do they fight? They struggle! The winner is who can turn over another up side down. The loser, if he cannot turn back, will die alone in the boiling hot desert. In our desert trips it is not rare to find empty shells up side down being a snake den or lizards shelter. But there are many animals Ajani doesn’t see as enemies. He likes lizards and parrots and will let them stay on his shell. He also likes crawling kids! Probably because he thinks he walks faster! 🙂 and yeah, definitely he loves any human who holds a piece of carrot. Next time when you will meet Ajani don’t forget to bring some veggies with you! Her body is all black in color, you may think it’s a little bit scary. 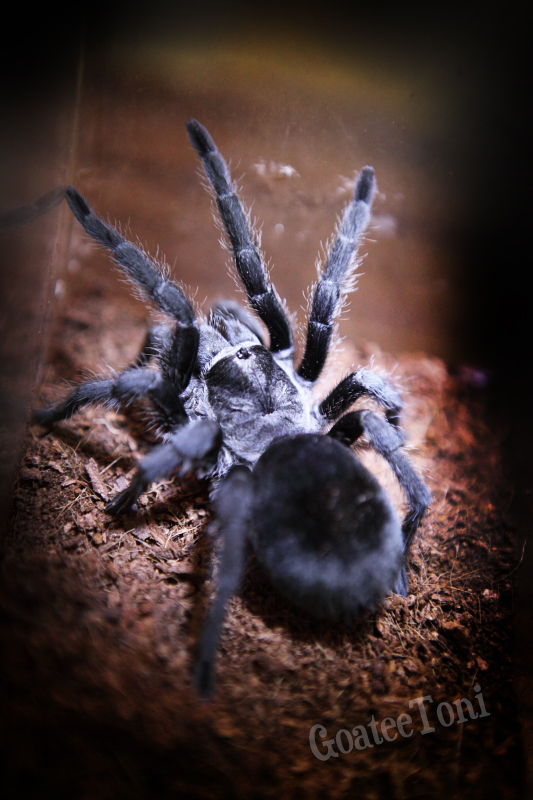 But she is extremely friendly and easy to handle. 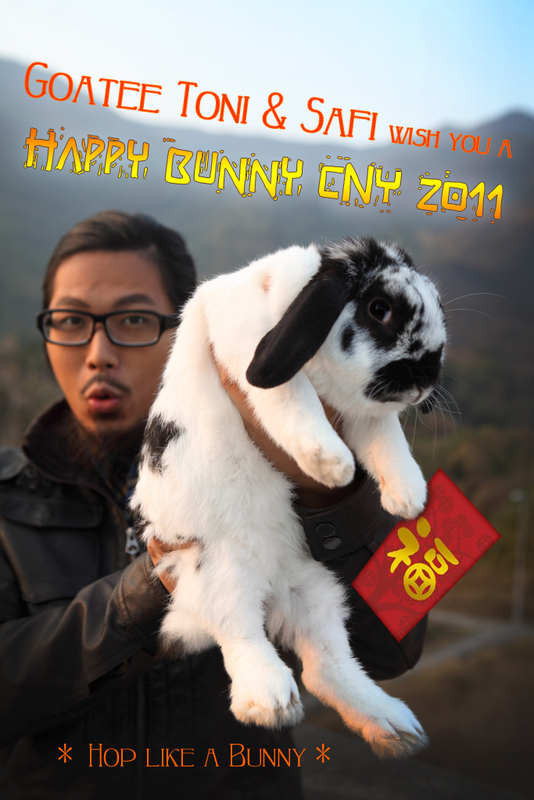 CNY is nothing for us..
anyways it’s good to say happy new year twice a year!